Raffles Place, Singapore – “The train has to follow the crowd to meet their needs, but my aspiration is attracting the crowd to come to me” – said by CEO Giap Van Dai in a published article on VNExpress. 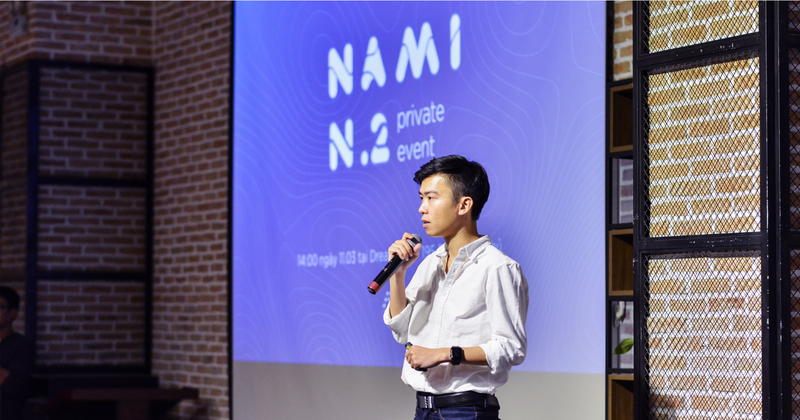 Giap Van Dai’s start-up journey with Nami ecosystem including 9 products and over 50,000 active users is uneven. The 1991 boy started his career at the age of 21, just after leaving a leading technology entrepreneur in Vietnam. In the first days of his project, he got struggles dealing with 30 rejections from investors. By 2016, he has released a virtual assistant for traders to get notification of the market prices 24/7, which is called Nami Assistant. “Common virtual assistants can’t keep track of the latest market updates 24/24, even when we’re sleeping. There were no similar products at that time. We are unique and premier” – shared by CEO Giap Van Dai. Sometimes in the market fluctuations we are sleeping, that time, in the world there is no similar products. As our project, “CEO Giap Van Dai shared. Nami team won a recognition award at Facebook Hackathon Vietnam in 2016 and successfully raised fund of $5 million. Lately Nami also took the pride to be the first Vietnamese company participating in iFX Expo Asia 2018 in Hong Kong (China). Not just Nami Assistant, Nami ecosystem has nami.trade – a blockchain-based trading and investment platform, nami.today – cryptocurrency media channel, nami.exchange – crypto and fiat exchange community, nami.labs – consultancy and support for the development of blockchain startups, etc. Mr. CEO wishes the blockchain community in Vietnam will find its way to the top list of the world.